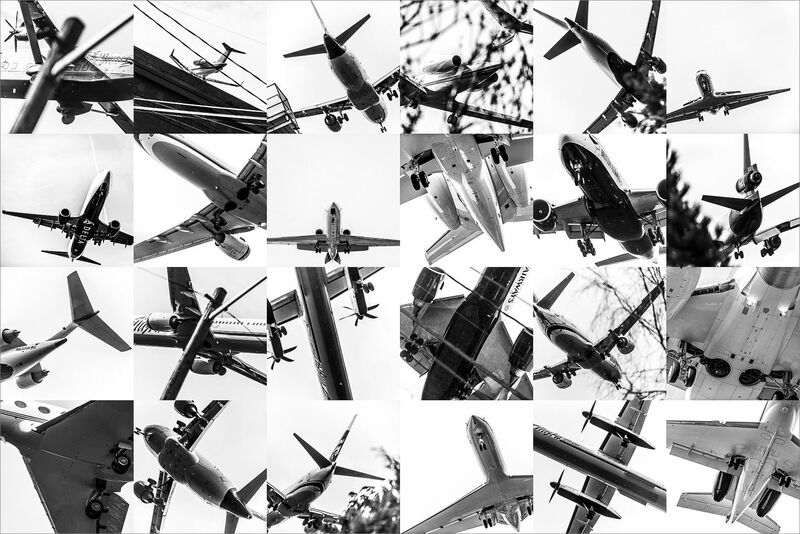 I finished my first plane spotting collage, working from the images I wrote about earlier. I have no idea where this will go, right now I’m envisioning wallpapering my office with a giant mural and letting my head spin. I guess I’m trying to bring the thrill back to flying, something I find very pedestrian these days. Some people complain about how painful flying is – the lines, cramped seats, baggage fees. None of that really bothers me, what bothers me is how boring it has become. Flying used to mean adventure, and as a kid, risk, but as I’ve gotten older the adventures have been tempered and flying is, well, just so safe. The thrill is gone. The more I shoot and assemble these pieces, the more I’m incorporating ground objects into the frame, along with images that show close detail of the structure the aircraft, right down to the rivets. The impulse for these photos comes from when I was 11, in the spring of 1977. On holiday with my family, the home we stayed in had the latest issue of Time Magazine with the photos from the terrible crash of two Boeing 747s at Tenerife Airport. I obsessed about that magazine the whole trip, constantly sneaking peeks at the incredible images of the burning 747, wing and engines still intact. The crash of a Boeing 727 in California a year later, also caught on film by a photographer, sealed this fascination. I guess that has always been part of the ‘thrill’ of flying for me; the chance you might stop flying. Maybe my fascination with airplane crashes acts as a talisman for it happening to me but at a minimum, it potentially makes the boredom of modern air travel more interesting.